The updated P34W gaming laptop now packs a new graphics card, a mSATA SSD and a generous 2 TB hard drive, as well as a Full HD display with wide viewing angles. 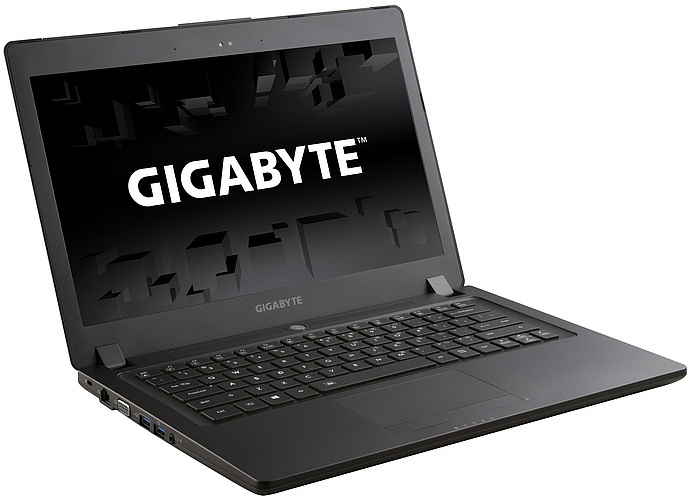 At the end of last week, Gigabyte updated its 14-inch ultra-slim gaming laptop family P34W with a new graphics card, Full HD display with wide viewing angles, as well as a fast SSD and a large HDD for reliable, fast, generous storage space. According to its maker, the Gigabyte P32W v3 is the world's only 14-inch notebook in its class to feature GeForce GTX 970M graphics. This powerful 14-inch portable gaming machine has an auto-adjusting backlit keyboard and does not feature any optical disc drive. The detailed configurations available and their prices depend on location and retailer, but the P34W v3 should hit Amazon and other big Gigabyte dealers in the US anytime soon.